A bright and dazzling smile is the key to success for people in their profession as well as in any other aspects of their life. Denture adhesive is one of the options people fall back on to keep their denture in place. Despite some benefits, denture adhesive users find it problematic, and instead of boosting people’s confidence, the fear of moving their dentures while speaking or eating makes people feel more unsecured and uncomfortable. Therefore, at Prestige Oral Surgery, we offer our patients a far more superior solution: dental implants. Why dental implant is more beneficial than other solutions? Dental implants are essentially artificial tooth roots that are utilized to replace the missing teeth and serve as the foundation for artificial replacement teeth. It is also the only dental prosthesis that allows the artificial replacement to form an intimate and permanent bond to the patients’ jaw bone. Unlike a denture which has the potential risks of moving and dislodging when speaking or eating, dental implant is a strong and stable solution. In addition, in order to improve adhesion, denture adhesives contain zinc, which if used excessively over a long period of time can potentially lead to serious health problems. Materials used in dental implants are conventionally made of titanium which is safer and biocompatible. Also, while many people have a psychological apprehension over dentures, dental implants are more acceptable because they feel so real, just like natural teeth. Moreover, the success rate for dental implants is very high. Statistics have pointed out that the success rates are 90% for upper jaw implants, and 95% for lower jaw implants. At Prestige Oral Surgery, Dr. Erakat with his dedication and years of experience can provide patients a highly successful implant placement outcome. Many people are often initially set back with dental implants due to their costs, which appear to be quite higher than other options. However, when taking into account their benefits and long-term cost savings potential, dental implants are worth every penny and can be in fact less costly. Dental implants require little investment for maintenance. Also, if done properly, dental implants can last a long time, and even an entire life for some people. Moreover, Prestige Oral Surgery also accepts dental insurance that covers dental implants from insurance companies to aid our patients with their financial obligations. Almost anyone in good general and oral health and an adequate amount of jaw bone can undergo dental implants. 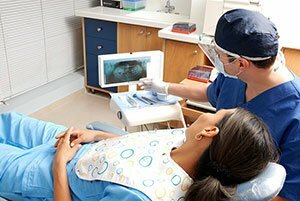 In order to precisely determine if someone is fit for dental implants, the dentist needs to do more examinations which might include x-rays and computer tomography scans to obtain a good overview of the patients’ specific teeth and gum conditions. Just like several other dental treatments, people with such diseases as uncontrolled diabetes, leukemia, pregnant women, and people with psychiatric disorders are not generally candidates for dental implants. In summary, with dental implants done by Dr. Erakat, patients are guaranteed to regain their confidence by recovering their brilliant smiles, and they can eat all the foods that they dream of. In addition, you can also bid farewell to your denture adhesives. For more information, please do not hesitate to call our office at (732) 297-7000 to make an appointment or speak to us about your dental health care options.